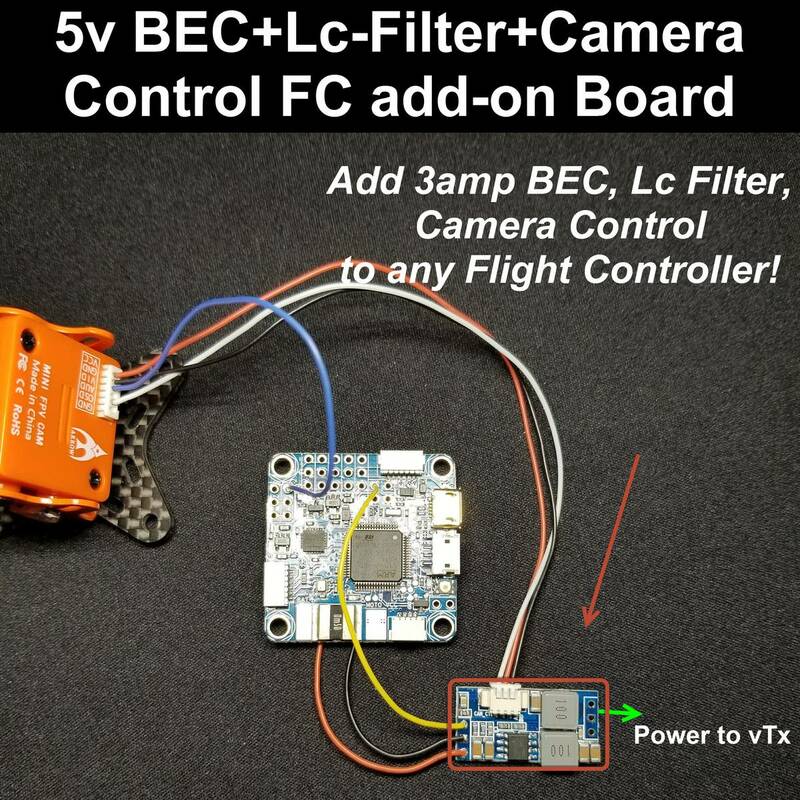 We have had many reports of people that want to power 5v unify at full power, camera, LED and more off one FC, most important with nano flight controllers .To keep the stress off the Flight controllers regulator, we have designed a clean power source to power your video trasmitter and cameras with a powerfull BEC , clean the signal more with a Lc-Filter , and Camera Control to control the OSd of your camera of optimal control and clarity. with this add-on board. one can filter and power the FPV system with confidence. Power in Battery 2s-5s to 2 - 5 volt out with camera control.